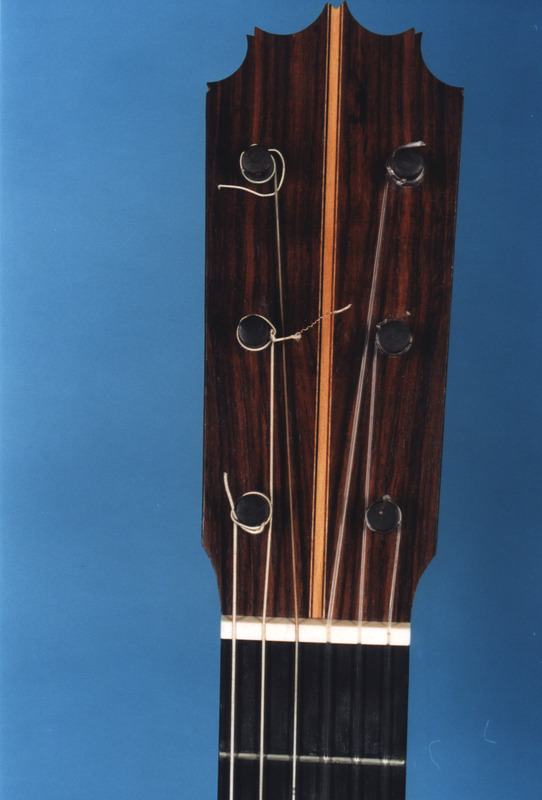 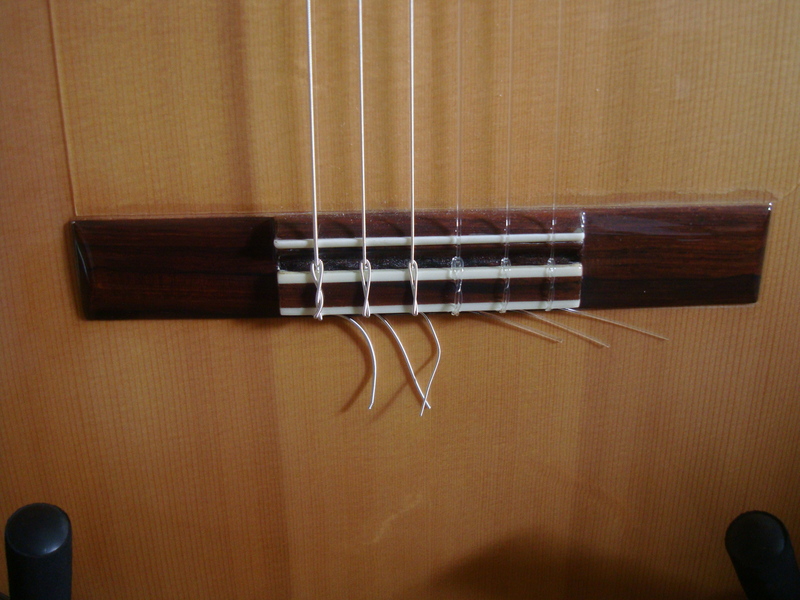 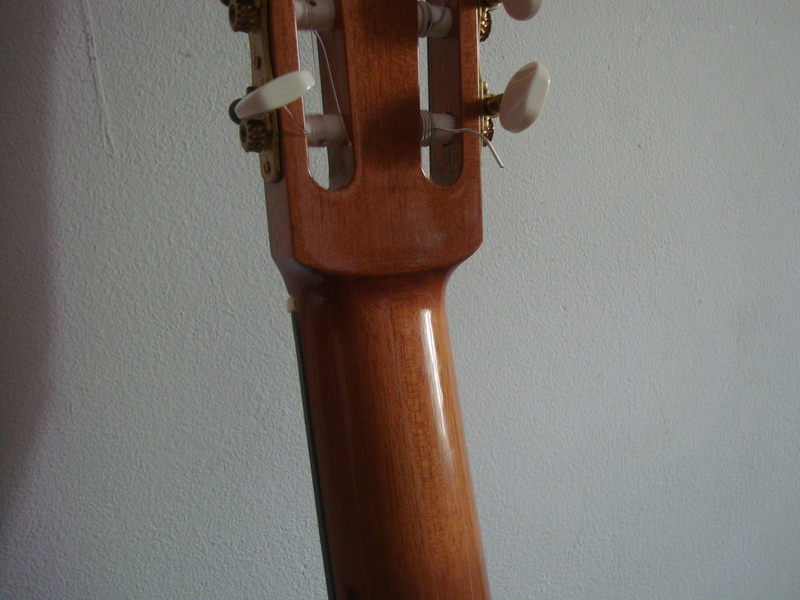 This is a traditional headstock blanca flamenca closely based on the plantilla of the great guitarero Manuel Reyes. 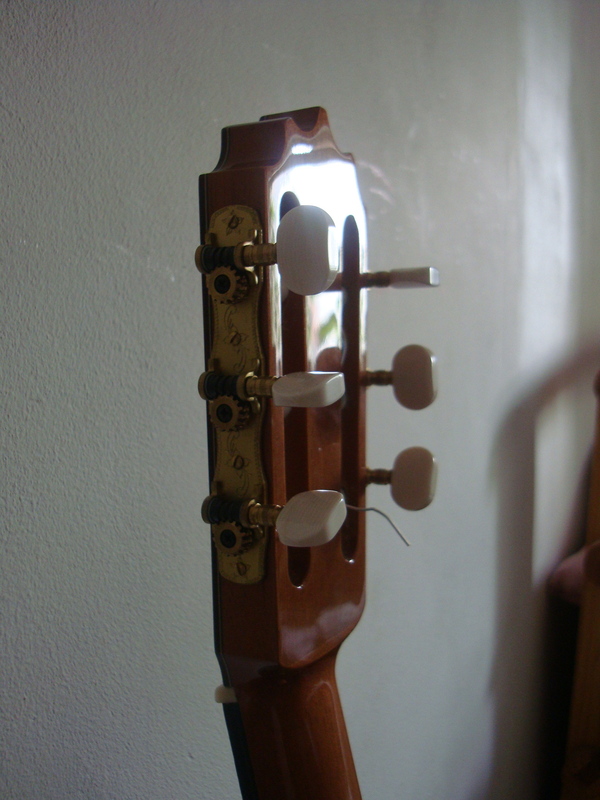 It belongs to Sylvia Saunders from the UK. 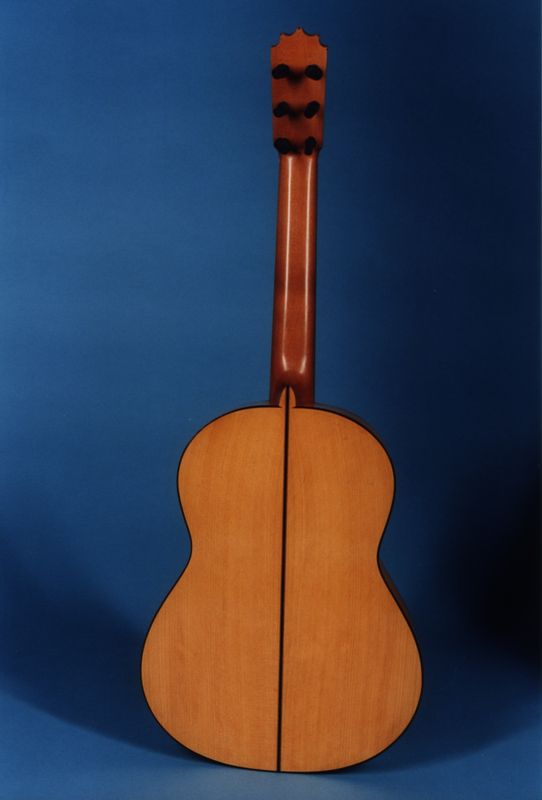 Made with beautiful materials top quality Cypress and European Spruce and ebony with turned tuning pegs. 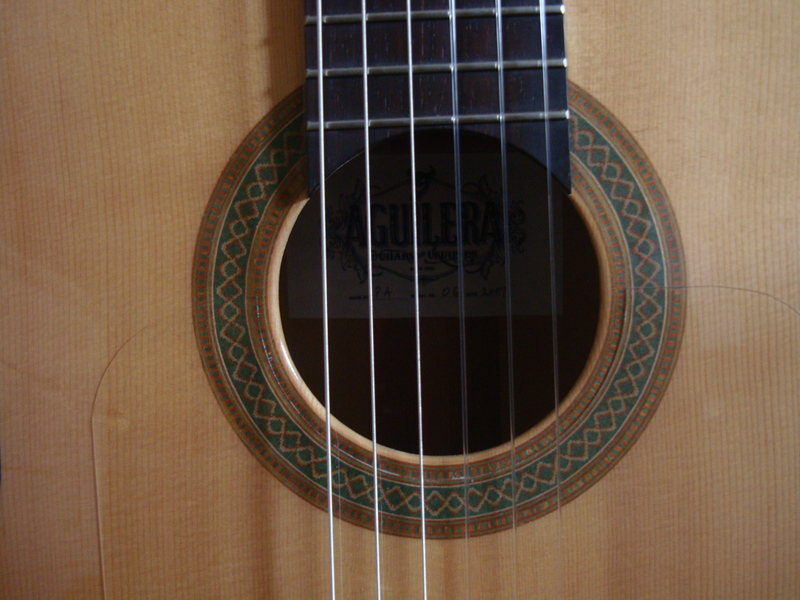 Very percussive and punchy with all the traits of a good Reyes. 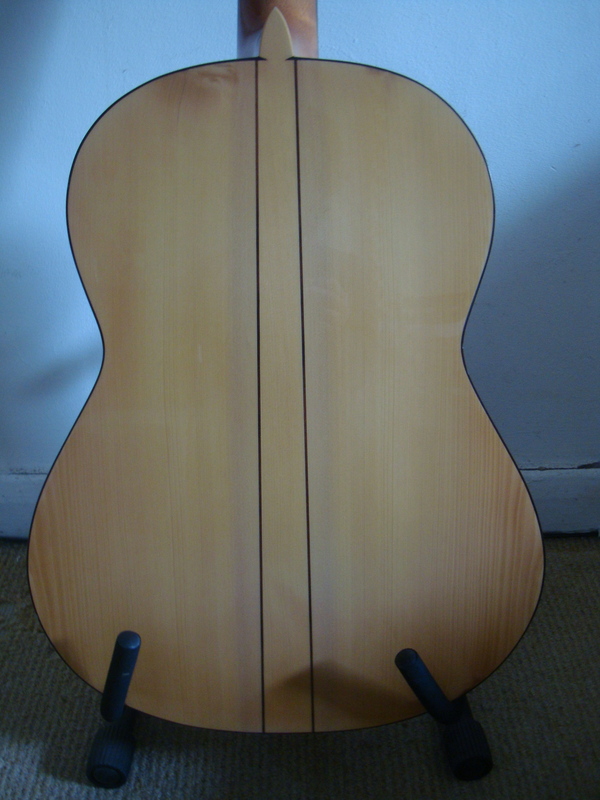 Here is a guitar I made for the guitarist composer Lee Westwood. 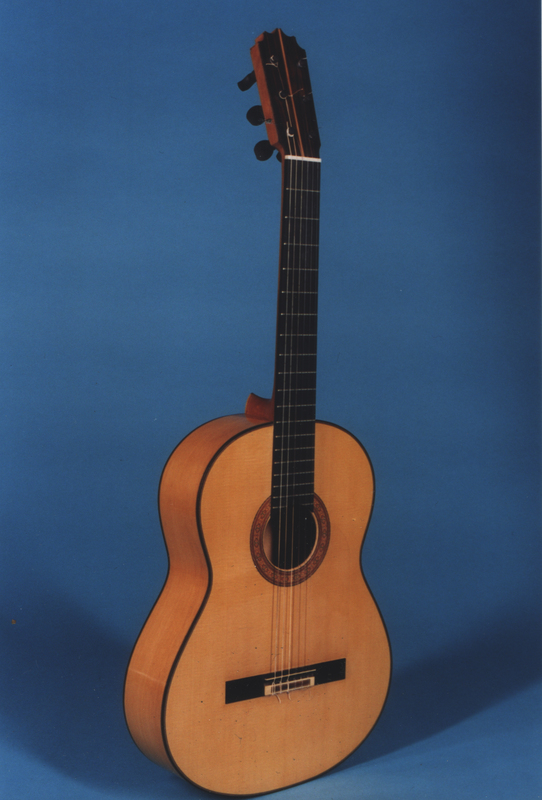 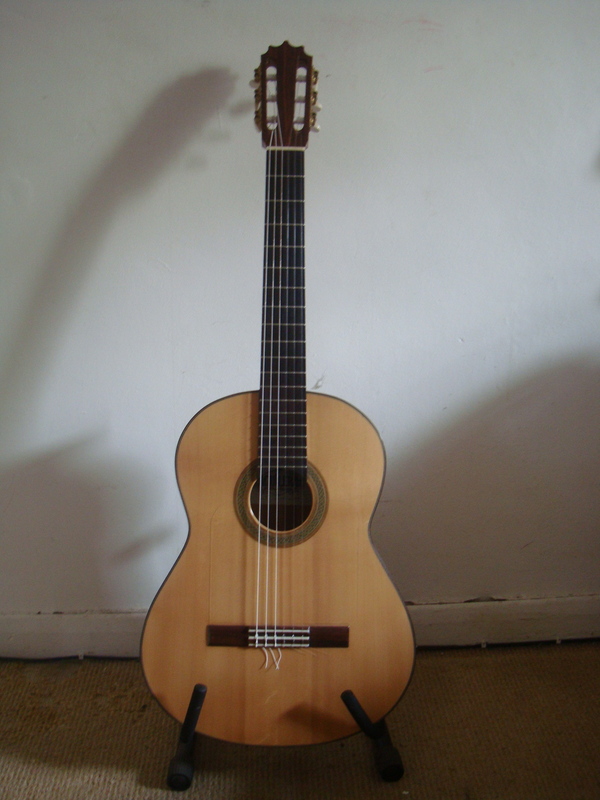 It is a traditional cypress flamenco guitar closely based around a Manuel Reyes model from Cordoba with a 7 fan strut plantilla. 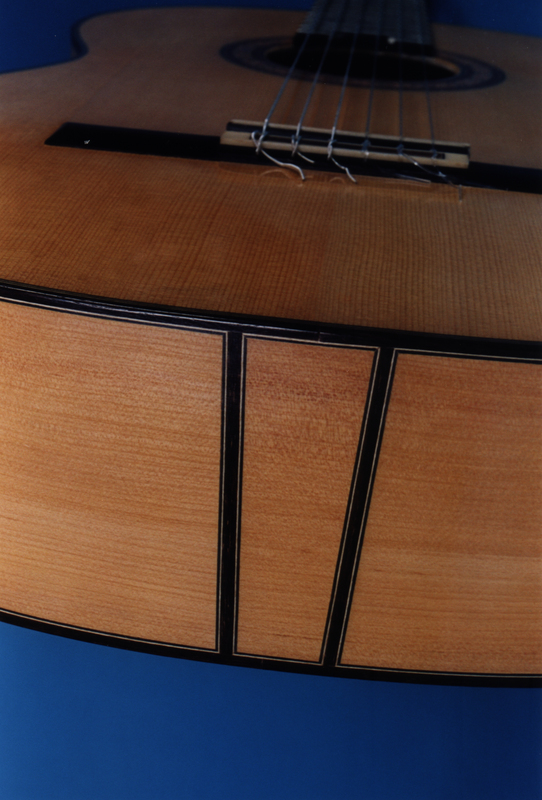 Deep basses and sweet trebles and very resonant.